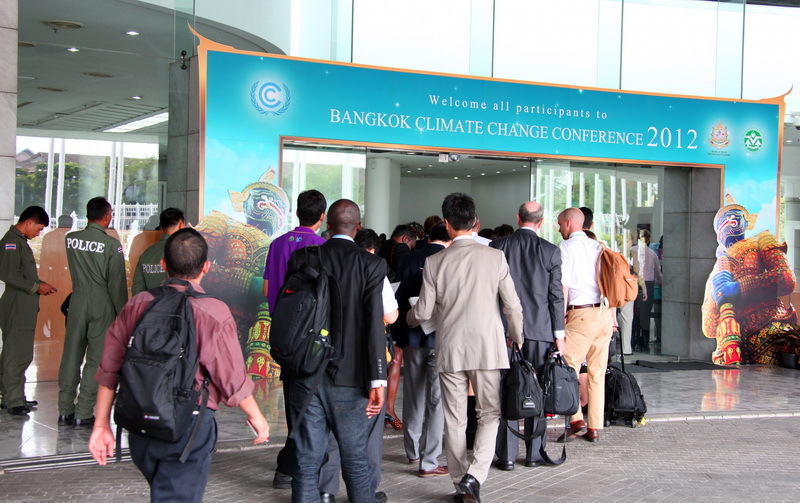 Russia in the Kyoto Protocol: a way in or out? Delegates of the steering “additional informal” UN session of climate negotiations, which ended in Bangkok just a few days ago, had been actively discussing the future of the second stage of the Kyoto Protocol. Active participation of the official delegation representatives in the discussion on essential aspects of KP-2 reality (on the duration of the agreement and transfer of the greenhouse gas emission quotas) produced an impression that Russia was ready to join the second stage of the Kyoto Protocol. By the end of the session, some Thailand media informed that “Russia in principle is ready to participate in the second stage of the Kyoto Protocol and is shaping its position for future negotiations. By Kommersant’s information, in the course of the discussion on possible national targets in reduction of greenhouse emissions by 2020, business managed to convince the authorities to change their position and consent to the second stage. The recent activities of officials directly involved in decision making in regards of internal and external climatic decisions “fertilized” the grounds for gossiping about Russia’s coming back into KP-2. A few months ago, Presidential Advisor on climate issues Alexander Bedritsky sent a proposal to the Kremlin to legally bind the “national target” (not binding it internationally) on the reduction of carbonic emissions up untill 2020 and develop a plan of its achievement. In June, Assistant to the President Elvira Nabiullina commissioned the Ministry of Economics, Ministry of Nature, and Roshydromet “to present proposals on the expediency” of endorsement of such a target and the way of its achievement with a regulatory document. In fact, the target proposed was laughable: 20%. And many specialists commented that if this is not 25% (the target Russia’s leaders had named several times in the recent years), it would be better not to make the international community laugh at us. “The political decision on Russia’s non-participation in the second stage of the Kyoto Protocol was made at the top authority level; this decision was made because the Kyoto Protocol in the form it had existed on the first stage was producing a too insignificant effect to be able to impact the global warming progress,” Bedritsky commented to RIA Novosti after the Bangkok session was over. The official Russia’s position remains the same: Russia is not taking part in the second stage of the Kyoto Protocol; the country stands for a blanket international agreement and full transfer of quotas into the future climate agreement. There is little time left before the 18th UN FCCC which shall be the outcome of this year’s climate negotiations. It will take place is Doha (Qatar) in November 26 – December 7. A number of important issues are planned for resolution there, including that on the future of the Kyoto Protocol and the working plan under the Durban platform. There is an opinion that many preconditions indicate the failure of the conference in Doha. Optimistically tuned experts believe that there still is time for positive changes. One thing is clear: Russia is making no constructive input in the process of negotiations. However, there still are theoretical chances that the country could join the second stage of the Kyoto Protocol prior to the conference in Doha. This is exactly what is expected by both the ecological community and business. “The second stage of the Kyoto Protocol is in the interests of Russia and Russian business; it will allow us actively participate, among other things, in formation of the global international agreement,” Kommersant quoted co-Chair of the Business Russia’s Working Group Yury Fedorov. Olga Senova, Coordinator of the Climate Secretariat of the Russian Ecological Union, believes that participation in the second stage of the Kyoto Protocol could be a strong incentive for the development of low-carbon projects in Russia; for energy efficiency and renewable energy implementation in the first place.